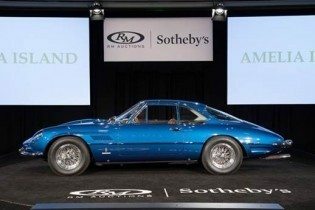 Well, the dust has settled from an amazing weekend at Amelia Island, and once again the 3 largest auction houses all had their moments in the sun – here are the highlights of their sales, with each high result being a stellar example of a weapons grade collectible car. Gooding and Company emerges as the biggest player at Amelia Island 2016, largely on the strength of the Jerry Seinfeld Porsche/VW collection, which achieved $22.2 million in sales by itself. The $60,162,150 overall total is an Amelia Island record, with an 87% sell-through and an amazing average transaction of $871,915. 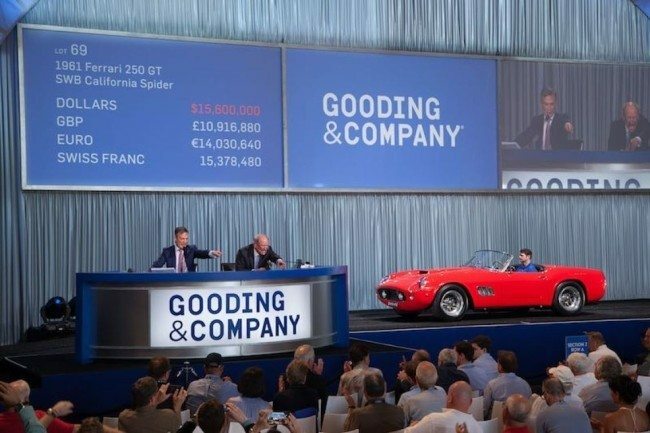 Leading the pack, and the highest Amelia Island auction sale ever, was the lovely 1961 Ferrari 250GT SWB California Spider that sold for $17,160,000. Congratulations to David Gooding and crew for an amazing performance. Over at the RM/Sotheby’s Auction at the Ritz-Carlton, the overall total was $38.6 million, with a solid 89% sell-through. High sale was $4.4 million, well above estimate, for the 1962 Ferrari Superamerica LWB Coupe, no doubt a world record. 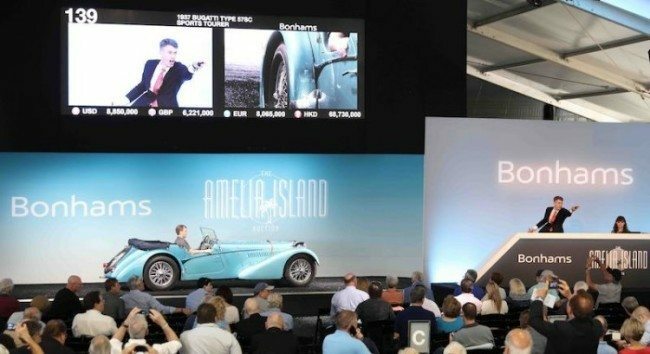 Bonham showed a strong increase in overall sales, with a $27.7 million dollar total, spurred by an incredible 1927 Bugatti Type 57 SC Sports Tourer that hammered sold for $9,735,000 – a figure that briefly held the record for high sale ever at Amelia Island. Sell through was 68%, and I’m sure the folks at Bonhams are proud of the fine increase in overall sales for 2016. So, what’s the takeaway? First, the market for the very best, the rarest, and the rarely available is stronger than ever. Second, those desirable cars that were produced in larger numbers have softened just a bit from their 2 year “rising tides raise all boats” run from 2014-2016. And third, the new generation of blue-chip collectibles is squarely focused on world-class performance sports cars from the great European marques, with far less interest in the major American classics that 2 or 3 years ago. Our thanks to our friends at Sports Car Digest for the facts and figures used in this article. Have you recently purchased a collector vehicle at auction? Let us show you how we are more than just another collector vehicle insurance company. We want to protect your passion! Click below for an online quote, or give us a call at 800.678.5173.